I also did a text-to-speech speech-to-text, but it’s horrible and I don’t want to edit it to figure out what is written… LOL. The degree of truth, especially Moral Truth, that is embodied in each of our choices, actions and behaviors will determine the degree of True Unity, True Freedom and True Peace we can achieve collectively. Morality is the foundational baseline for True Unity. All other differences are less significant. If we are more united with the moral truth of how to act and behave towards others, then we will be creating a more moral way of life. Until we reach a certain level of comprehension of morality, unite with it in our thoughts, emotions and actions, we will not be able to truly create, lasting, effective freedom, peace and unity with each other. Morality is the key to opening a higher, realer and truer authentic way of life. Morality is the Way and the Path, the Light that will lead us away from darkness. We must delve deeper into moral comprehension. Morality leads to greater Wisdom of Right-Action which lift us up. 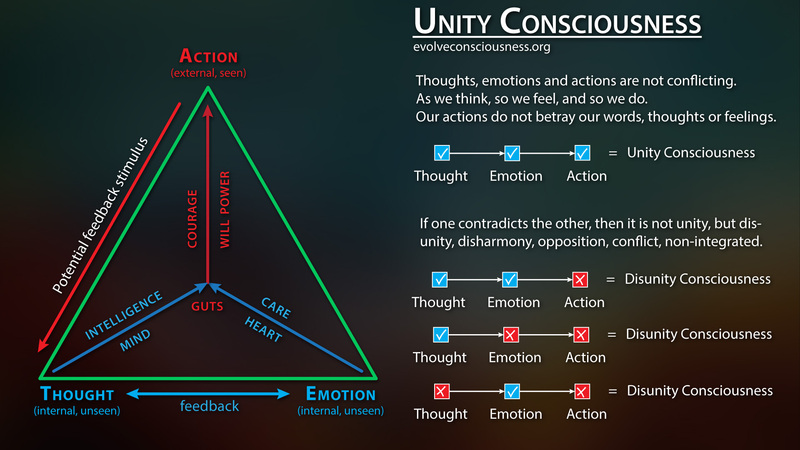 Right-actions support a higher consciousness way of life. Connection to Moral Truth is real knowledge, clarity, freedom and anarchy to live our lives free from master-slave dominating relationships with others. This is being a higher, realer and truer self. This is living a connected, united, integrated, and consistent way of life.